Pregnant newbie? Relax, in the preparation classes for childbirth; you will be prepared for the most crucial moment of your life. Know when to start with them, how long they last and what techniques you will learn there. Generally, labor courses begin in the sixth or seventh month of pregnancy, although they may continue from the first trimester; They consist of a theoretical part and a part of prenatal gymnastics. Most parents choose a six or seven session course during the last quarter. The idea that maintained in many future mothers is a preparation without pain. This is bad. Neither is prepared exclusively for labor or delivery without pain unless an anesthetic substance used. Because of this, many women who have decided to request epidural anesthesia do not attend the preparation courses thinking that they no longer need it. Breathing and relaxation techniques that help reduce pain. Learn to distinguish if something goes wrong or if the work has already started. Resolve questions that arise during pregnancy, delivery, postpartum and baby care. Teach pregnant women to take responsibility for their health and that of their child, and to replace habits that are not suitable for others who are. 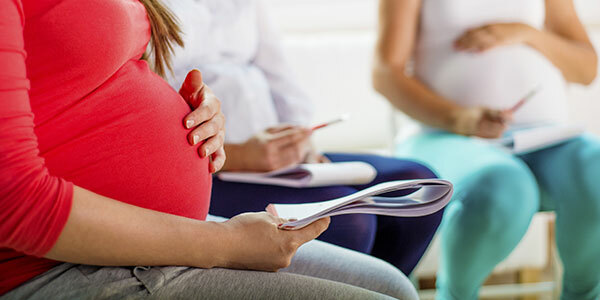 Theoretical courses: in which the changes of pregnancy explained, how to recognize the signs of childbirth, what epidural anesthesia is, the follow-up, what happens in each of the phases of childbirth, and so on. Practical classes: including prenatal gymnastics, relaxation techniques, training for different phases of labor, control of breathing and postural measures. Two of the most used procedures in the courses for the preparation of the childbirth are: The Bradley method and Lamaze technique. The Bradley method of preparing for childbirth, named after its founder, Dr. Robert A. Bradley (1917-1998), is characterized by a natural approach to childbirth, including the active participation of the baby’s father. One of the objectives is to avoid administering medication unless it is essential. During pregnancy, the Bradley method emphasizes the importance of diet and exercise, learning relaxation techniques (such as deep breathing and concentration in different parts of the body) and the ability of parents to witness and actively participate in the birth process. Although Bradley’s method recommends delivery without analgesics, it also prepares parents for complications or unexpected situations, such as emergency cesareans. In postpartum, the method recommends breastfeeding and constant contact of the parents with the baby. This method is chosen by many women who give birth in their home or other non-hospital areas. Natural techniques to reduce pain during childbirth. Techniques on how to make an offer. Preparation for postpartum, breastfeeding and bonding with the baby. A Lamaze technique to prepare delivery is a philosophy that emerged in the 50s, which takes its name from French obstetrician Ferdinand Lamaze, who says that childbirth is a reasonable and natural physiological process and that women should be prepared to address it without fear and With confidence. Lamaze’s goal is to teach women how to control breathing and relaxation techniques based on tactile stimuli (massage), visual (focusing on the visualization of an object) and auditory stimuli (words of encouragement), which help to eliminate stress and reduce the perception of pain by contractions. In the Lamaze method, also called Psychoprophylaxis, the father plays a fundamental role, helps the woman with massage and psychological support and actively shares with her the birth of her baby. Although this method aims to achieve a conscious delivery without pain, this does not mean that it is contrary to the use of epidural anesthesia, in case the woman requests it. Lamaze’s technique is quite widespread and transcends its function as a method of helping birth, to become a philosophy that understands fatherhood as a vital function. More and more people are realizing the importance of skin in how we look. Our skin quality can affect how we look and feel, it’s especially important if you want to keep looking youthful. Despite the neck being as exposed as your face people often neglect to take care of it as much as they should. In fact, the neck skin and muscle is not supported by bones in the same way your face is, making it more prone to sagging. There are a number of factors that affect your neck skin. UV rays from the sun can have a big impact, as your skin is exposed constantly to the elements. There are also a number of hormones produced in the body which if unregulated can cause sagging. There have also been studies into younger women and men (18-39) that found increased in sagging skin caused by constantly looking down at smartphones and other devices. Thankfully there are solutions being developed to deal with skin problems in individuals as they arise and your neck skin is no different. Just like your skin or other areas of your body there are a number of drastic procedures available and reports have indicated a sharp rise in the numbers of people getting their neck skin lifted. If you don’t want the heavy cost and sometimes damaging surgery there are a number of other solutions available on the market. Creams have been developed to help stop the sagging of your neck skin and if used correctly you can see impressive results. If you have loose skin it can really affect your look and it’s one of the most common problems when it comes to skincare. To deal with loose skin you’ll need to find a product that has anti aging properties, fillers or tightening agents to help fight the problem. A combination of oils and hydrating agents soothe the skin while more exotic ingredients like algae can nourish the skin. Lines and wrinkles can be some of the most noticeable flaws in our neck skin and we want to tackle that fast. 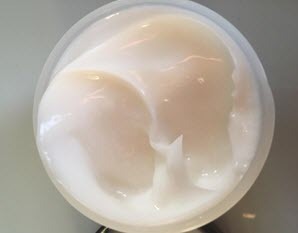 The best way to do that is to find a cream which can help plump up the skin. A combination of hydration and soothing properties can make those lines a lot less visible. To help with the general quality of your skin, and encourage new brighter skin growth, is a great way to improve the look of your neck. By using exfoliants you can clean away old skin and help repair any damage that’s occurred. A combination of specific enzymes, Vitamin E and Vitamin C will have a dramatic impact on the skin. All of these creams could give you drastically improved neck skin and help undo any harm or sagging in the area. It’s always best to use these as early as possible, to help keep the skin healthy and stop any problems before they start.